Georgia has suffered with Fibromyalgia and other related health issues for over 18 years. Georgia tried many different healthcare avenues in the last 18 years: medications, physical therapy, surgeries, etc, but none have led to any long term positive changes. This testimony is just the beginning of Georgia's health transformation through care at OHIO Specific Chiropractic. In 2005, Nancy suffered a stroke and 4 brain aneurysms that led to paralysis on the left side of her body. Nancy has tried many different healthcare avenues in the last 8 years: medications, botox injections, acupuncture, general chiropractic, nerve stimulation therapy, etc, but none have led to any long term positive changes. Maria has suffered with Trigeminal Neuralgia and other related health issues for over 6 months. Maria has tried many different healthcare avenues for the last 6 months: medications, dental surgeries, therapies, etc, but none have led to any long term positive changes. This testimony is just the beginning of Maria's health transformation through care at OHIO Specific Chiropractic. I have NEVER had the severe head pain that I suffered with for about 6 weeks. 4 trips to ER, 5 trips to Dr. MRI, CT Scan, blood work ups, 4 antibiotics, 2 steroids, nasal sprays, 3 different pain meds for migraines (and trust me, these were worse than any migraine I have EVER had)and ANYTHING else I could think of to rid of the pain. I was so much pain I overtook my pain meds and was having hallucinations. 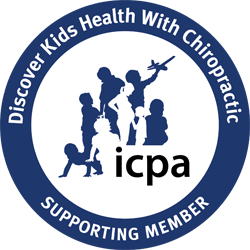 My son found information about a certain type of chiropractic care while searching for medical help for my condition. At my first visit, Dr Jarek Esarco spent over 2 hours with us to make sure we understood what it is he does. Then, took many xrays and the other examinations to make sure he precise with my care. I entered his office in great pain, barely able to function.. I left his office with a great deal less pain. My held high and no sunglasses. It has been about 5 weeks now. I see him every week to 10 days. I currently still have minor headaches, but they seem to just be an annoyance. I have not taken any medication for them for 3 weeks. If you read about him and what he does, He is one of 200 in the WORLD that does this and I am EXTREMELY fortunate to have his practice in Boardman, Ohio a short drive from my home.PLEASE!, If you are suffering, do yourself a favor and go to him. I love getting adjusted! I haven't felt this good in years! I am so used to feeling good now that I can recognize when C1 ans C2 are subluxated. I had a rough week and knew I was out of alignment. I had dizziness, headache, nausea and my blood pressure was really high for me. I came in for my adjustment and by the time I left my headache was gone. I checked my blood pressure when I got home and it was normal again!!!! I feel GREAT!!!! 100%!!! Thank you Dr. Jarek for the amazing work you do!!! I am in awe of the results I get when you adjust my C1 and C2. 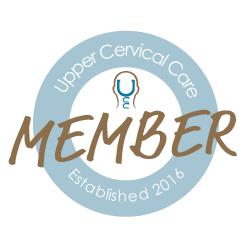 Everyone should be under upper cervical care! What the would would be like if we were all alignment!!!!! THANK YOU, THANK YOU, THANK YOU!!!!! “I came to the Esarco Chiropractic Center 3/31/14 for another problem only to find that the “Upper Cervical Specific Care” provided by Dr. Jarek Esarco of OHIO Specific Chiropractic could rid me of a low back pain which I suffered with since 1994 after a fall from work. First visit 7/9/14: Proved to be effective almost immediately, surprisingly! Dr. Jarek Esarco gave me some movement exercises to try before leaving, I did with awe! Dr. Jarek explicated what took place and exhibits a distinctive behavioral trait toward you becoming comfortable with the treatment. Second visit 7/16/14: 'Holding is healing'. Did not need an adjustment. "I was rather exhausted after the adjustment and really was a bit skeptical. But by Sunday I was feeling really good; both physically & psychologically. I had been getting really depressed about my problems. I was really letting it drag me down but the feelings just sort of lifted. I actually feel like I can start walking or getting some type of light exercise. My back, stress levels, depression and generally overall feel much better and want to keep it that way." "The past 10 years of my life have been spent in constant fear of the next migraine attack. I endured multiple migraines per week. Debilitating effects demanded the next day for recovery. Medications were changed when no longer effective. Treatment with Dr. Jarek Esarco began seven weeks ago. I've experienced only two migraines in that time, with rapid recoveries. The migraine emergency medication no longer accompanies me everywhere. Restored energy and creativity are surprising benefits. Dr. Jarek has helped me reclaim my Life." Please feel free to call, write, or email us about the wonderful results you received while under our care!